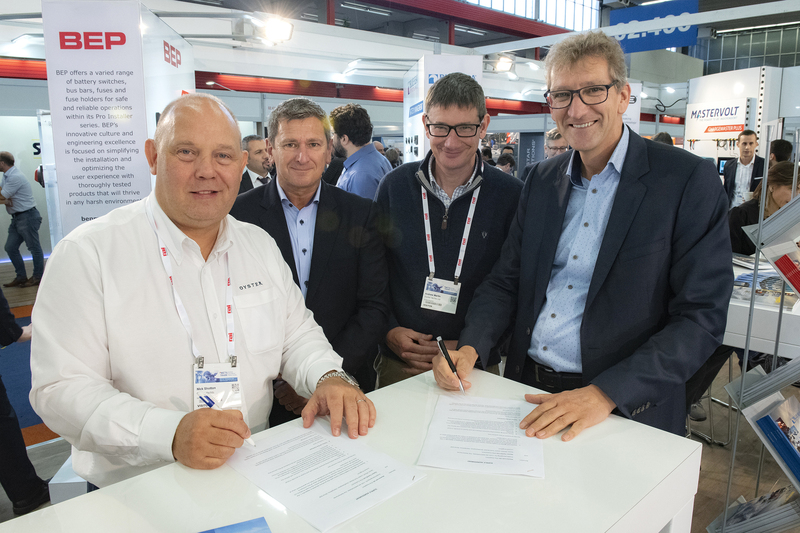 Oyster Yachts and Mastervolt have signed a 3 year supplier contract which will run from December 2018 to December 2021. The agreement will extend the cooperation that started between the companies 20 years ago. Andrew Martin – Commercial Manager of Oyster Yachts and Ton de Winter – CEO of Mastervolt BV. Mastervolt will supply powered electronics equipment for use on the complete Oyster Yachts range, from the Oyster 565 to the flagship Oyster 1225. Mastervolt equipment will include their high end Lithium Ion batteries, which offers superior performance and short recharge times. “Oyster Yachts are proud to formalise their partnership with Mastervolt with our long term supply agreement. They exhibit all the qualities that are at the core of Oyster’s values: reliability, technical excellence and above all world wide support that is second to none. 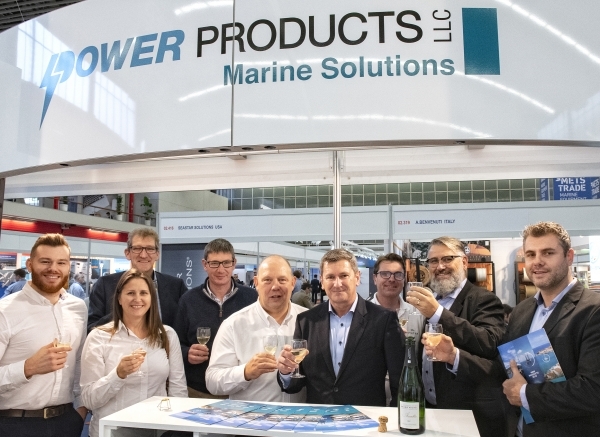 We are also proud to have Mastervolt as a supply partner for our World Rally where they provide excellent support to our yacht skippers,” said Nick Shotton, Head of Procurement at Oyster Yachts. With Oyster Yachts being renowned for their performance and comfort wherever they might be sailing, Mastervolt’s electrical power solutions offer the levels of reliability and durability that are essential onboard, giving both the builders and their customers, complete confidence and satisfaction in their yacht,” said Nick Holland, Sales Manager UK for Mastervolt.